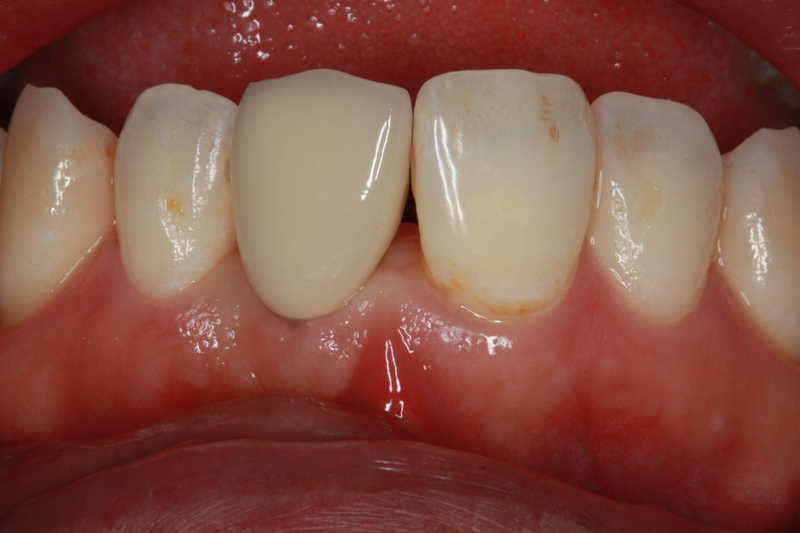 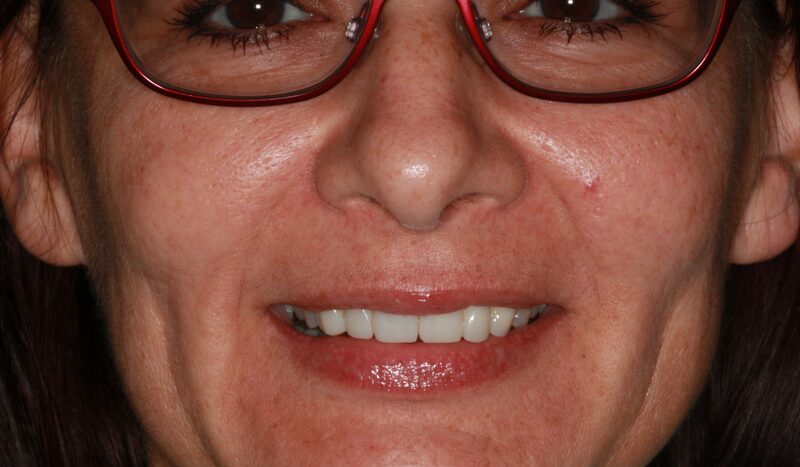 Here is a basic case that illustrates the effect of simply changing the contact between an implant crown and a tooth. 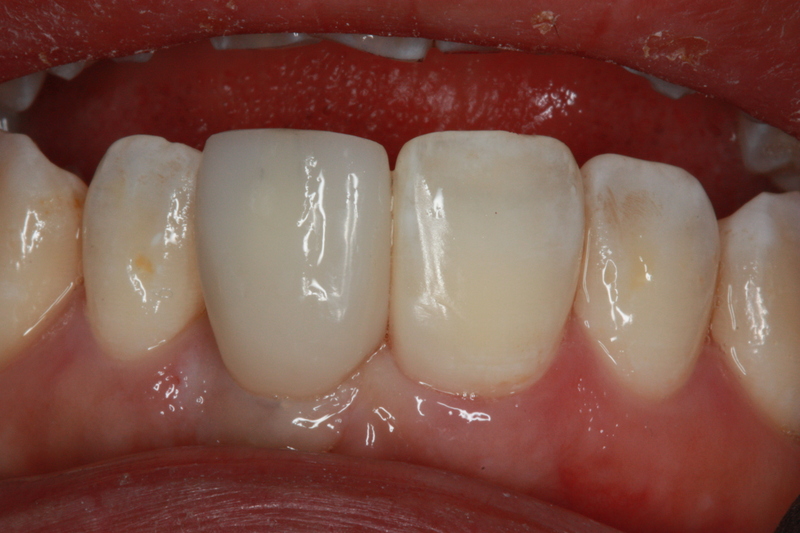 Whenever we restore a implant restoration, particularly in the esthetic zone, we want to “close the gap” or “black triangles” as much as possible due to the loss of papilla. 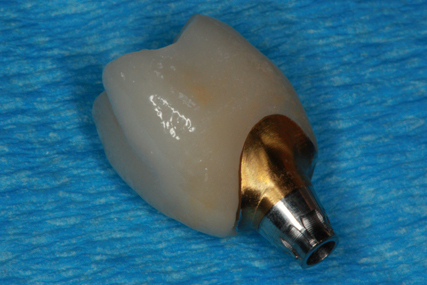 This is even more pronounced between two adjacent implants. 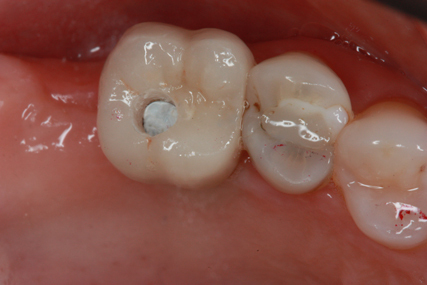 Depending on the width of the adjacent tooth, we are either adjusting the contact point back if we want to narrow the width of the tooth, or adding to the undercut. 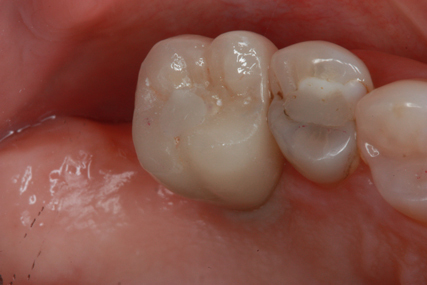 This creates a broader contact point between the two teeth. 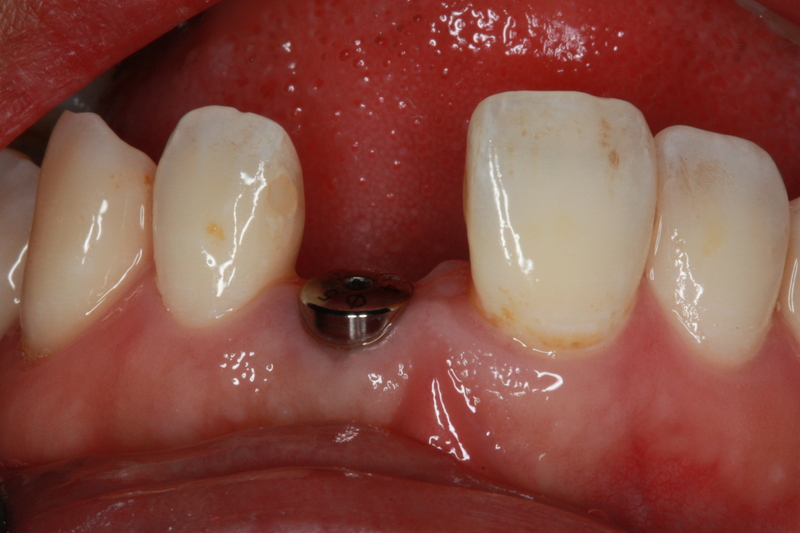 In this case the width was the same so we just added composite to the mesial undercut of #8 to create a long contact surface from the original contact point all the way down to the gingiva. 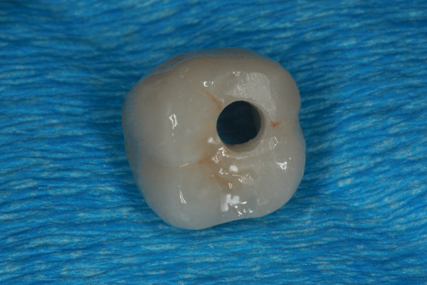 We then placed a new implant provisional on #9 to follow the same mesial contours and eliminating the dreaded black triangle. 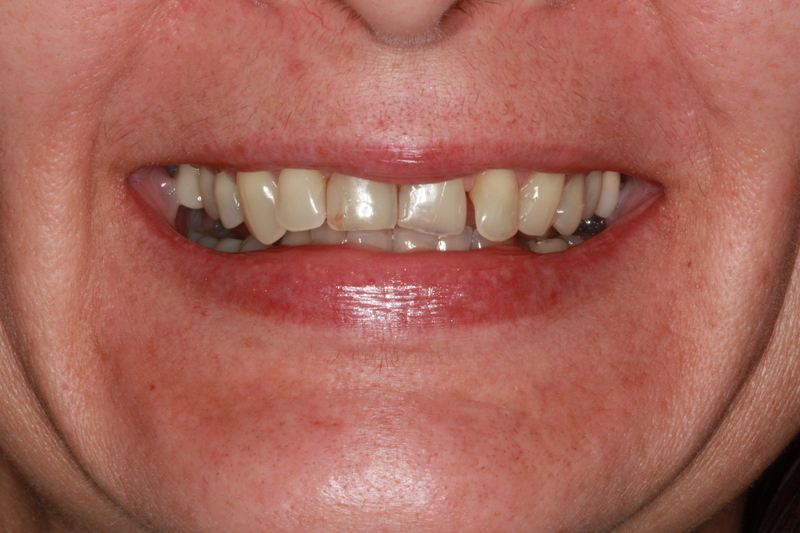 On this particular case, it helps to manipulate the tissue with a screw retained restoration than can be placed to apply pressure and manipulate the gingival contours. 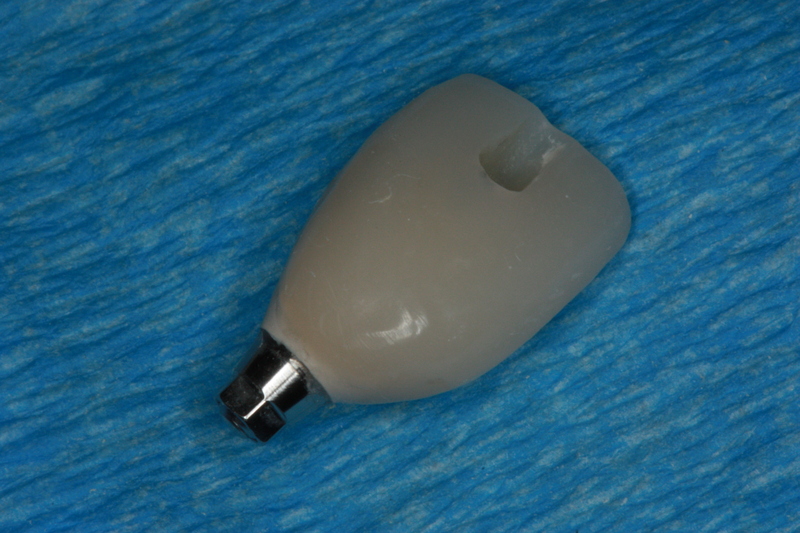 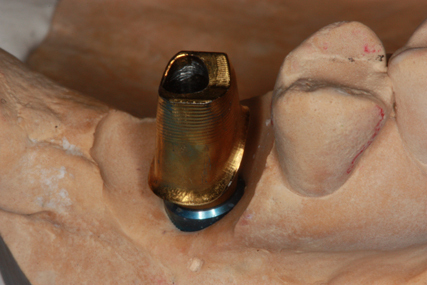 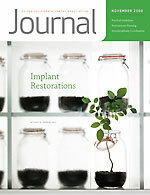 The provisional was screw retained, but because of the implant placement, the final crown will be cement retained to avoid a facial access. 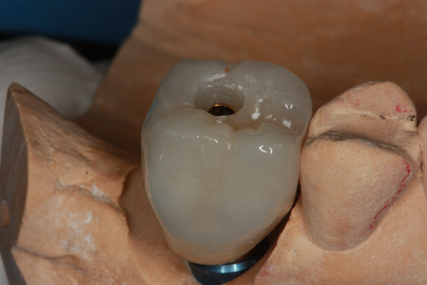 Because the tissue is already shaped in the provisional stage, delivery the custom abutment and cement retained final crown will be predicable and easy.